The Institute of Medicine recommends that adults get a minimum of 0.8 grams of protein for every kilogram of body weight per day (or 8 grams of protein for every 20 pounds of body weight). (1) The Institute of Medicine also sets a wide range for acceptable protein intake—anywhere from 10 to 35 percent of calories each day. Beyond that, there’s relatively little solid information on the ideal amount of protein in the diet or the healthiest target for calories contributed by protein. Some high-protein foods are healthier than others because of what comes along with the protein: healthy fats or harmful ones, beneficial fiber or hidden salt. It’s this protein package that’s likely to make a difference for health. For example, a 6-ounce broiled porterhouse steak is a great source of protein—about 40 grams worth. But it also delivers about 12 grams of saturated fat. (3) For someone who eats a 2,000 calorie per day diet, that’s more than 60 percent of the recommended daily intake for saturated fat. Proteins in food and the environment are responsible for food allergies, which are overreactions of the immune system. Beyond that, relatively little evidence has been gathered regarding the effect of the amount of dietary protein on the development of chronic diseases in healthy people. Research conducted at Harvard School of Public Health has found that eating even small amounts of red meat, especially processed red meat, on a regular basis is linked to an increased risk of heart disease and stroke, and the risk of dying from cardiovascular disease or any other cause. (4, 6, 8) Conversely, replacing red and processed red meat with healthy protein sources such as poultry, fish, or beans seems to reduce these risks. One investigation followed 120,000 men and women in the Nurses’ Health Study and Health Professionals Follow-Up Study for more than two decades. (6) For every additional 3-ounce serving of unprocessed red meat the study participants consumed each day, their risk of dying from cardiovascular disease increased by 13 percent. Processed red meat was even more strongly linked to dying from cardiovascular disease—and in smaller amounts: Every additional 1.5 ounce serving of processed red meat consumed each day—equivalent to one hot dog or two strips of bacon—was linked to a 20 percent increase in the risk of cardiovascular disease death. In terms of the amount of protein consumed, there’s evidence that eating a high-protein diet may be beneficial for the heart, as long as the protein comes from a healthy source. A 20-year prospective study of over 80,000 women found that those who ate low-carbohydrate diets that were high in vegetable sources of fat and protein had a 30 percent lower risk of heart disease compared with women who ate high-carbohydrate, low-fat diets. Diets were given low-carbohydrate scores based on their intake of fat, protein, and carbohydrates. (9) However, eating a low-carbohydrate diet high in animal fat or protein did not offer such protection. A more recent study generated headlines because it had the opposite result. In that study, Swedish women who ate low-carbohydrate, high-protein diets had higher rates of cardiovascular disease and death than those who ate lower-protein, higher-carbohydrate diets. (12) But the study, which assessed the women’s diets only once and then followed them for 15 years, did not look at what types of carbohydrates or what sources of protein these women ate. That was important because most of the women’s protein came from animal sources. A recent study found that people who ate diets high in red meat, especially processed red meat, had a higher risk of type 2 diabetes than those who rarely ate red or processed meat. (7) For each additional serving a day of red meat or processed red meat that study participants ate, their risk of diabetes rose 12 and 32 percent, respectively. Another study also shows that red meat consumption may increase risk of type 2 diabetes. Researchers found that people who started eating more red meat than usual were found to have a 50% increased risk of developing type 2 diabetes during the next four years, and researchers also found that those who reduced red meat consumption lowered their type 2 diabetes risk by 14% over a 10-year follow-up period. More evidence that protein quality matters comes from a 20-year study that looked at the relationship between low-carbohydrate diets and type 2 diabetes in women. Low-carbohydrate diets that were high in vegetable sources of fat and protein modestly reduced the risk of type 2 diabetes. (13) But low-carbohydrate diets that were high in animal sources of protein or fat did not show this benefit. People should aim to reduce overall consumption of red meat and processed meat, but when you do opt to have it, go easy on the grill. High-temperature grilling creates potentially cancer-causing compounds in meat, including polycyclic aromatic hydrocarbons and heterocyclic amines. You don’t have to stop grilling, but try these tips for healthy grilling from the American Institute of Cancer Research: Marinate meat before grilling it, partially pre-cook meat in the oven or microwave to reduce time on the grill, and grill over a low flame. The IARC Working Group, comprised of 22 scientists from ten countries, evaluated over 800 studies. 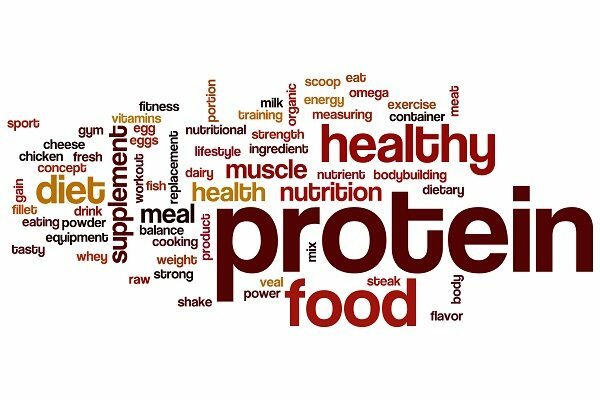 Digesting protein releases acids into the bloodstream, which the body usually neutralizes with calcium and other buffering agents. Eating lots of protein, then, requires a lot of calcium – and some of this may be pulled from bone. Those who ate more red and processed meat over the course of the study gained more weight, about one extra pound every four years, while those who ate more nuts over the course of the study gained less weight, about a half pound less every four years. There’s no need to go overboard on protein. Though some studies show benefits of high-protein, low-carbohydrate diets in the short term, avoiding fruits and whole grains means missing out on healthful fiber, vitamins, minerals, and other phytonutrients. Food, Nutrition, Physical Activity, and the Prevention of Cancer: a Global Perspective. 2007,World Cancer Research Fund, American Institute for Cancer Research. : Washington, DC. Agriculture, U.D.o., USDA Nutrient Database for Standard Reference, Release 14. 2005. Pan, A., et al., Red meat consumption and risk of type 2 diabetes: 3 cohorts of US adults and an updated meta-analysis.Am J Clin Nutr, 2011. 94(4): p. 1088-96. Bernstein, A.M., et al., Dietary protein sources and the risk of stroke in men and women. Stroke, 2012. 43(3): p. 637-44. Halton, T.L., et al., Low-carbohydrate-diet score and the risk of coronary heart disease in women. N Engl J Med, 2006. 355(19): p. 1991-2002. Appel, L.J., et al., Effects of protein, monounsaturated fat, and carbohydrate intake on blood pressure and serum lipids: results of the OmniHeart randomized trial. JAMA, 2005. 294(19): p. 2455-64. Jenkins, D.J., et al., The effect of a plant-based low-carbohydrate (“Eco-Atkins”) diet on body weight and blood lipid concentrations in hyperlipidemic subjects. Arch Intern Med, 2009. 169(11): p. 1046-54. Lagiou, P., et al., Low carbohydrate-high protein diet and incidence of cardiovascular diseases in Swedish women: prospective cohort study. BMJ, 2012. 344: p. e4026. Halton, T.L., et al., Low-carbohydrate-diet score and risk of type 2 diabetes in women. Am J Clin Nutr, 2008. 87(2): p. 339-46. Akerblom, H.K., et al., Environmental factors in the etiology of type 1 diabetes. Am J Med Genet, 2002. 115(1): p. 18-29. Vaarala, O., et al., Removal of Bovine Insulin From Cow’s Milk Formula and Early Initiation of Beta-Cell Autoimmunity in the FINDIA Pilot Study. Arch Pediatr Adolesc Med, 2012. Feskanich, D., et al., Protein consumption and bone fractures in women. Am J Epidemiol,1996. 143(5): p. 472-9. Darling, A.L., et al., Dietary protein and bone health: a systematic review and meta-analysis.Am J Clin Nutr, 2009. 90(6): p. 1674-92. Bonjour, J.P., Protein intake and bone health.Int J Vitam Nutr Res, 2011. 81(2-3): p. 134-42. Li SS, Kendall CW, de Souza RJ, Jayalath VH, Cozma AI, Ha V, Mirrahimi A, Chiavaroli L, Augustin LS, Blanco Mejia S, Leiter LA, Beyene J, Jenkins DJ, Sievenpiper JL. Dietary pulses, satiety and food intake: a systematic review and meta-analysis of acute feeding trials. Obesity, 2014. Aug;22(8):1773-80. Farvid MS, Cho E, Chen WY, Eliassen AH, Willett WC. Adolescent meat intake and breast cancer risk. Int J Cancer, 2014. Ley, S. H., Sun, Q., Willett, W. C., Eliassen, A. H., Wu, K., Pan, A., … & Hu, F. B. (2014). Associations between red meat intake and biomarkers of inflammation and glucose metabolism in women. Am J Clin Nutr, February 2014. Song, M., Fung, T.T., Hu, F.B., et al. Association of Animal and Plant Protein Intake With All-Cause and Cause-Specific Mortality. JAMA Intern Med. Published online August 01, 2016.